Fears of terrorism surrounding the Sochi Olympics have seen much talk of ‘Black Widows’ and the 'Caucasus Emirate,' but do these headline-grabbing terms obscure the real nature and origins of terrorism in the North Caucasus? In the the run-up to the Sochi Olympics, and the recent Volgograd bombings, western and Russian media regularly described the Caucasus Emirate as a hierarchical terrorist group, hell bent on using suicide bombers to disrupt the Winter Games. According to the current narrative, the leader of the Emirate, Doku Umarov, planned to use ‘Black Widows’ to infiltrate the Russian 'ring of steel’ around Sochi and deliver a direct blow to Vladimir Putin’s Games. Certain analysts have gone a step further and claimed that Umarov and the emirate are planning to use chemical weapons against the Olympic venue. The severity of these predictions begs several questions: who are the militants that make up the North Caucasus insurgency? Why are we witnessing an upsurge in suicide bombings in the region? And how might these groups threaten the Sochi Olympics? What is the Caucasus Emirate? The Caucasus Emirate, the organisation that openly threatened to target the Olympics, was established in 2007 from the elements of the Chechen insurgency remaining after the deaths of insurgency leaders Shamil Basayev and Abdul-Halim Sadualev in 2006. Umarov, a long-time nationalist figure in the insurgency, called for the expulsion of infidels from Muslim lands and the establishment of an Islamic caliphate between the Black and the Caspian seas. Experts viewed the establishment of the Caucasus Emirate as the final stage of a slow but steady ideological shift from a nationalist to jihadist struggle. This transition was said to be the result of the ideological role played by Arab volunteers during the 1990s, the brutality of the Russian counter-insurgency during the Second Chechen War, and the need for the Chechen insurgency to secure money coming in from jihadist networks around the world. The development of militant jihadism has been a reaction against the lawlessness of security forces rather than a foreign ideology. This narrative presents the growing importance of Salafism in the North Caucasus as a purely reactive phenomenon without, however, looking into its indigenous roots in the region. In fact, the development of the Caucasus Emirate has been a generational change outside Chechnya, mainly in Kabardino-Balkaria and Dagestan, where young people have turned to Islam for personal and socio-political reasons. In both republics, Salafism first emerged as a peaceful political force advocating social change as a way of dealing with problems like corruption, nepotism, and the free practice of radical forms of Islam. Instead of dealing with this new political movement, local governments used the outbreak of the Second Chechen War (1999) as an occasion to adopt a purely repressive policy depicting radical Islam (Salafism and Wahhabism) as an extremist ideology that needed to be eliminated by violent means. By not making any distinction between a devout Muslim practising a non-traditional form of Islam, and an insurgent advocating jihad, the security forces in Kabardino-Balkaria and Dagestan created a climate of fear among those associated with radical Islam. The development of militant jihadism, inspired by Salafi ideology, has been a reaction against the lawlessness of security forces rather than a foreign ideology. 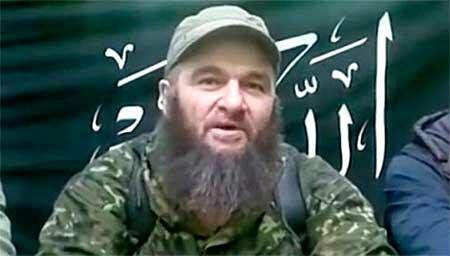 The Caucasus Emirate should not be seen as a hierarchical organisation built on the Chechen insurgent network where all terrorist cells are under Umarov’s command. Instead, we should see it as an umbrella organisation providing a unifying, al-Qaeda-inspired ideology for a discrete group of small independent insurgent cells that fight local police forces and local governments. The so-called Dagestan Vilayat, one of the most dominant insurgent cells, recently released a video claiming responsibility for the Volgograd attacks. Cells like these are generally self-sufficient in terms of recruitment and financial support, and rarely communicate with each other. In other words, Umarov should be seen more as a spokesperson and role model for young insurgents rather than the commanding leader of a hierarchical insurgency structure. One can talk about a virtual Emirate composed of heterogeneous insurgent groups sharing a common ideology but with different short-term objectives. In recent years, the hub of the insurgency has moved away from Chechnya, which has been relatively normalised and is fairly peaceful compared to the beginning of the 2000s. Umarov should be seen more as a spokesperson and role model for young insurgents rather than a commanding leader. In terms of security for the Sochi Olympics, the actual organisation of the Caucasus Emirate means that the biggest threat for potential terrorist attacks will come from small insurgent cells rather than Umarov and his inner circle. These small cells, such as the Dagestan Vilayat, have the resources and the logistical capacity to train suicide-bombers and to target the Olympics. Although the possibility of an attack within Sochi’s ‘ring of steel’ is highly improbable, an attack against a soft target such as a transportation system, the extended region of Sochi or tourist attractions in Moscow, is eminently attainable. For a better understanding of the threat to the Sochi Olympics, it might be important to look at the profile of the current insurgents in Dagestan, and understand what lies behind the concept of a ‘Black Widow’ and a potential suicide attack. Despite the popular myth that radical Islamists join the North Caucasus insurgency to spread jihadism and to target Western ‘infidels,’ the reasons behind the growing number of recruits in Dagestan and in the North Caucasus are rooted far more in social and political problems. Many people join the insurgency to protest against corruption, the absence of the rule of law, and primarily because of the lawlessness of the security forces in Dagestan and in Chechnya. The latter is probably the most crucial factor in understanding the recent upsurge of insurgent violence in Dagestan. Personal encounters with insurgents and members of their family have convinced me that Islam is rarely the reason why someone would decide to participate in the North Caucasus rebellion. Rather than joining the insurgency to spread salafiism or jihadism across the North Caucasus, for most ordinary Dagestanis it is a more a means of wreaking revenge on police forces that have violated their human rights, with religious harassment, illegal detention, and torture. Individuals associated with radical practices of Islam are usually marginalised, suspected of being insurgents, and detained for no obvious reason. Often these people openly admit that they have more chance of staying alive in the insurgency than waiting for the security forces to detain and torture them. The same situation is also observed in the case of the ‘Black Widow’ phenomenon, which is described by the Russian and international press as the main threat to the Sochi Olympics. However, by looking into the origins of the feared 'Black Widows,' and how they have evolved throughout the years in the North Caucasus, one can better understand why Russian counter-terrorist methods are more likely, in fact, to increase the chances of a terrorist attack in Sochi. The myth of the dead jihadist’s widow seeking revenge for her lost love was created by the Russian media following the 2002 Dubrovka theatre siege in Moscow. During the stand-off, Chechen women wearing black chadors and explosive belts caught the Russian and international popular imagination, and so created the stereotype of the ‘Black Widow.’ Following the siege, any woman involved with the insurgency or terrorist attacks was described by the west as a ‘Black Widow’, without questioning the Russian sources or the real motivation behind the attacks. In several cases, the Russian security forces have released information to the press about women involved in suicide attacks without any proof to sustain such claims. In many cases, the Russian narrative did not match what relatives and friends themselves said about the suicide-attackers; witness the case of Maryam Sharipova detailed below. In the case of the recent Volgograd bombings, the ‘Black Widow’ narrative proved entirely false when the video released by the Dagestan Vilayat offered proof that two Dagestani men carried out the attacks, rather than the women initially identified by the Federal Security Service (FSB). The ‘Black Widow’ narrative has become a way of avoiding a study of the true motives behind participation in the insurgency, and of justifying religious profiling and abuse against Muslim women in the North Caucasus. In many cases, the Russian narrative did not match what relatives and friends said about the suicide-attackers. This doesn’t mean that since the Dubrovka attack not a single woman has become a suicide-bomber in order to avenge her lost love. There have been several such cases in Chechnya and in Dagestan since the renewal of suicide-attacks in 2009. At the same time, it is misleading to think that this is sufficient explanation for every suicide attack, especially given the current situation in the North Caucasus. 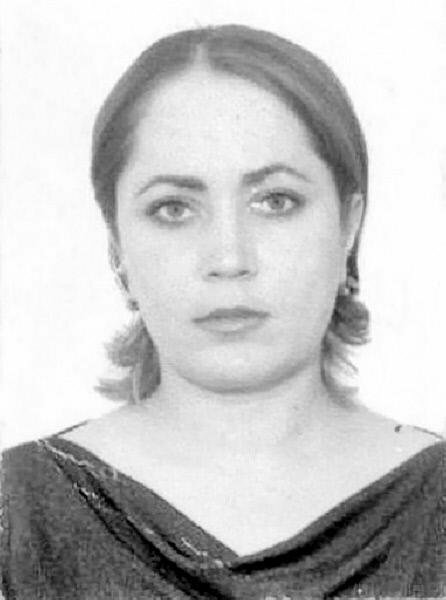 As Anne Speckard and Khapta Akhmedova noted about the first wave of female suicide bombings in Chechnya, ‘personal experiences of extreme trauma and bereavement appear in many cases to be a necessary but not sufficient cause [to explain suicide-bombings] (2006: 484).’ In other words, traumatic experiences during the First and Second Chechen Wars may have contributed to psychological vulnerabilities among the majority of Chechen women, and by the same token fostered the development of suicide bombings between 2000 and 2004. But revenge and trauma are rarely the only factors at play in the decision to commit suicide in the name of the insurgency. During the Second Chechen War, it would have been difficult to find a single woman who had not had a traumatic experience or lost a relative or someone close to them. It did not, however, transform the entire Chechen population into suicide bombers. The simplistic narrative of the ‘Black Widow’ must be challenged in order to better assess the risk for the Sochi Olympics, and to develop our understanding of the reasons why people join the insurgency. This is particularly important because the socio-political context has significantly changed since the Second Chechen War. Although a model based on grief and revenge might have made sense in some cases during the Chechen Wars, the same assumptions might be problematic when applied to the case of Dagestan. The most recent wave of suicide bombings in the North Caucasus started in 2009 after a lull of almost five years. Some women who are now labelled ‘Black Widows’ are indeed related to insurgent fighters; however they are rarely living among, and participating in the underground network of the insurgency. They also did not live through the traumatic experience of two long protracted conflicts as did the Chechen women involved in the first wave of suicide bombings (2000-2004). Instead of focusing strictly on revenge, trauma, and survivor guilt, it is crucial to understand how insurgents’ relatives live with the constant threat of being arrested or killed by security forces. The simplistic narrative of the ‘Black Widow’ must be challenged in order to better assess the risk for the Sochi Olympics. 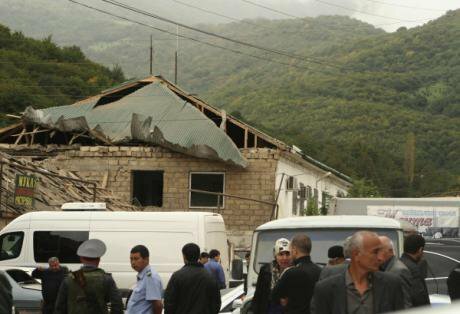 To understand the roots and reasons behind the new wave of suicide-bombings, one has to look into the more brutal Russian counter-terrorist methods in Dagestan. The way the security services in Russia have handled counter-terrorist operations has reinforced people’s willingness to join the insurgency and sacrifice themselves for the cause. Indeed, relatives of killed militants are usually branded as guilty by association, and fall victim based on the principle of collective responsibility. This is particularly true for militants’ wives as they are by definition labelled future ‘Black Widows.’ The case of Maryam Sharipova, one of the 2010 Moscow metro suicide bombers, exemplifies the current situation for women in Dagestan. Sharipova was allegedly the widow of a well-known insurgent, Magomedali Vagapov, although these claims were never substantiated. For proponents of the ‘Black Widow’ theory, it was enough to explain her decision to commit suicide in 2010. At the same time, one can dig further and look at her social situation and the harassment she and her family suffered in the months before the attack. For example, her brother spent eight months in prison in 2008 under suspicion of being an Islamic militant. He was later released for lack of evidence. Sharipova’s family remained under constant investigation and were harassed by the local security services. 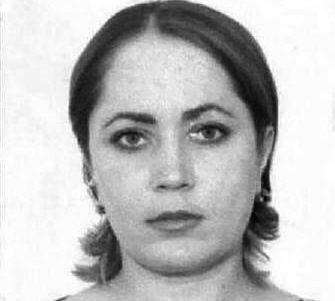 A month before she killed herself in Moscow, police searched Sharipova’s house, unsuccessfully, in an attempt to prove that she or her brother had links to the insurgency. One can postulate that the repression against the family, which increased dramatically following her brother's release from jail, might have left Sharipova feeling that she had no other choice of action. For such women, the choice is often one between becoming a victim of the security forces (and subsequently being labelled as an unsuccessful suicide bomber), or joining the insurgency. In this situation, the Russian counter-terrorist approach creates a self-fulfilling prophecy where the brutality and the indiscriminate nature of the policies hardens the stance of ordinary devout Muslims and their relatives. For many of them, the insurgency is a lesser evil than the harassment and potential abuse from the security forces. In the case of female relatives, they face an even more complex dilemma: either they are arrested for being a potential suicide bomber, or they seek help inside the underground network of the insurgency, knowing that they will have to volunteer for a suicide mission. In other words, the suicide bombers associated with the Caucasus Emirate should not be labelled as ‘Black Widows.’ They are the product of the actions of the lawless corrupt police forces in Dagestan for whom repression and violence are the only answers to the growing discontent among the population, and the concomitant development of radical Islam as a potential solution. These ruthless counter-terrorist methods in the North Caucasus might have delivered so far the primary result sought by the Putin administration—assuring the security of the Sochi Games and the athletes in order to boost the President and Russia’s prestige on the world stage. However, the threat of a suicide attack outside of the ‘ring of steel’ remains high, forcing the security services to remain on high-alert status, and maintain their repressive policies towards devout Muslims. More than astronomical financial costs, the worst outcome of the Sochi Olympic Games might be its political effects on the North Caucasus. One can predict that in the near future, these repressive policies put forward to ensure the security of the Sochi Olympics will also reinforce the general feeling of discontent and insecurity amongst the local population. By the same token, it will foster a new wave of adherents to jihadist insurgent groups, and magnify the growing instability in the region.